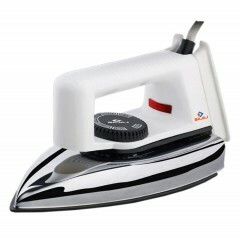 Shoppingneeds.in is running an offer in which you can buy Bajaj Popular Dry Iron worth Rs.799 now at Rs.430 without any shipping charges.To avail this offer there is no need of any shoppingneeds coupon code. Pepperfry selling Bajaj MX 1 1200W Steam Iron at Rs 639 only. Click here to get advantage of this offer.